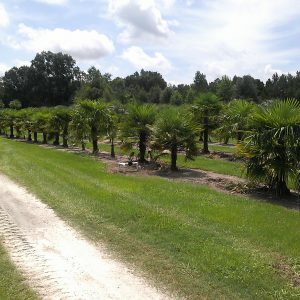 If you want a Date Palm look but live in zones 6-8, then the Pindo Palm is the best choice for you. It has survived the occasional dip to 0 degrees F across the upper South. 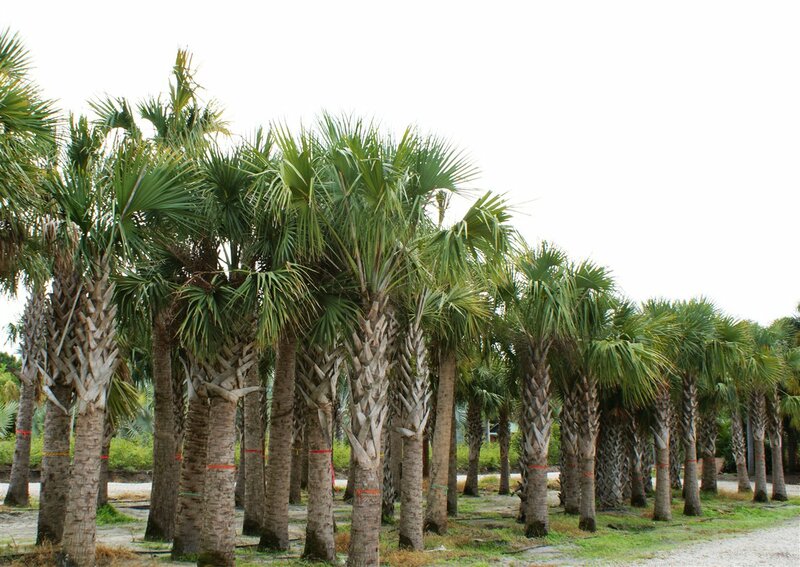 The Pindo Palm offers long arching elegant leaves that are a lighter green with a silvery highlight on many specimens. 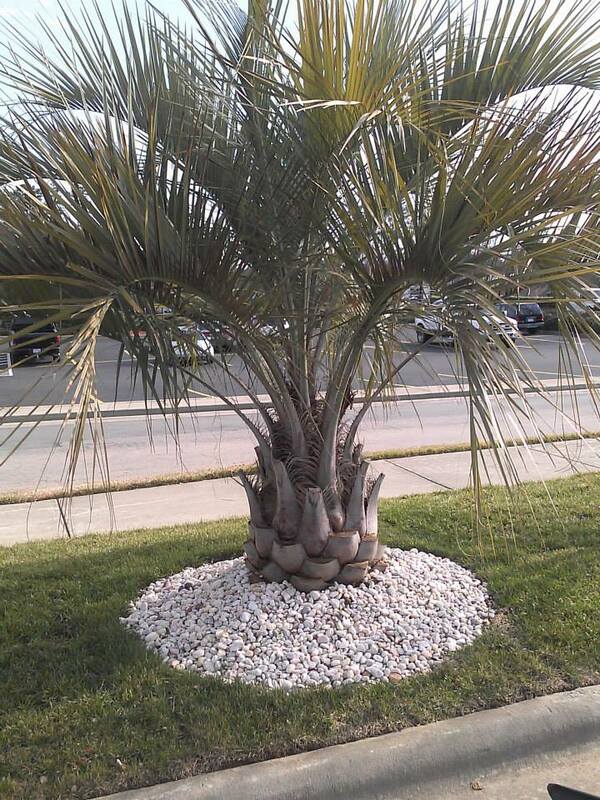 It is considered relatively fast growing for a palm tree, and can produce delicious edible fruit after 7-10 years. 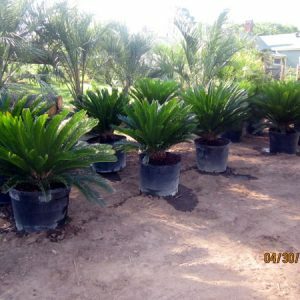 Many folks use this fruit to make a sweet jelly, hence the name Jelly Palm. 10 ft Field Grown, 2-3 feet trunk.